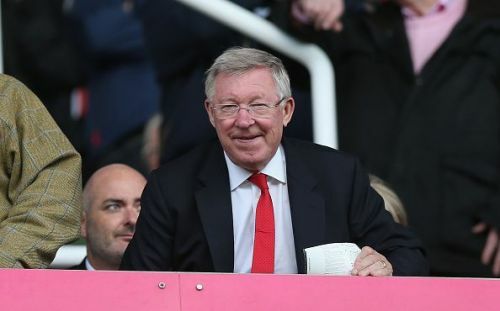 Former Stoke City striker Jonathan Walters has claimed that legendary Manchester United manager Sir Alex Ferguson believes rivals Liverpool will win the Premier League title over Manchester City. The race for the Premier League title is heating up as Liverpool and Manchester City continue trading blows to one another in the remaining games. Liverpool currently sit at the summit of the English top flight after establishing a spectacular win over Chelsea last weekend. Manchester City follow close behind with a game in hand but face tougher fixtures ahead of them which include games against Tottenham Hotspur and Manchester United. Walters has claimed that Ferguson sees Liverpool winning the English title, after speaking with former teammate Phil Bardsley who spent time with the former United manager during the week. Speaking to BBC Radio 5 Live's Football Daily podcast (via The Daily Mail), he said, "'I was chatting with Phil Bardsley and I'm gonna drop a name here, he was sat with Sir Alex Ferguson. He sat with him and he thinks Liverpool are going win it." Ferguson reportedly believes United will earn points against City and this will cause damage to Pep Guardiola's title chase. "He thinks Liverpool because he thinks United will get something out of the City game." Manchester City will hope to overtake Liverpool to the top of the Premier League table with a win over the Spurs next weekend. The Reds, on the other hand, will hope to keep the race going with a win over Cardiff City on Sunday. Meanwhile, both Liverpool and City have their focus on the Champions League quarter-finals as they are set to play their second leg against Porto and Tottenham Hotspur on Wednesday.